 All the information provided on PDM University website, namely www.pdm.ac.in is just for the purposes of immediate information only & does not constitute a legal contract between the PDM University or any person or entity. The information has been produced & processed from sources believed to be reliable. Although every reasonable effort has been made to provide precise, factual & accurate information, it should, in no way, be quoted as an authentic source of information ⁄ legal document. PDM University is not responsible for any inadvertent error that might have crept in any information being published on the website. The information with regard to Fee–Structure, Admission Policies, Courses offered etc are subject to change by the regulatory bodies without any notice. In no event, shall the PDM University or its staff, be liable for any damages, whatsoever, direct, indirect, special, compensatory, punitive or consequential damages for any loss caused or alleged to be caused to any person by the use of any information or any shortcoming, defect or inaccuracy in the information available on website ⁄ hyperlinked sites.